You better eat this quick! From time to time the nice people over at Lucky Leaf as me if I am interested in some samples of their products and some recipes. Of course I say yes. The only problem is, with my long lists of things I want to make some times it take me a while to actually getting around to using those items. This past month i finally got the chance to make a recipe using Cherry Pie Filling sent from Lucky Leaf. I did not want to make a pie to I searched their website for other recipes. I finally decided on a Cherry Coffee Cake and it was delicious! There was one little issue with this recipe though. I made it on a Tuesday evening hoping Zack could take it to work the next day to share with his co-workers. The cake was great out of the oven when Zack and I had a little taste, but my the next morning it was really soggy from all the moisture in the pie filling. So the take away here, still make this because it is delicious and easy, just plan on eating it fresh and not waiting until the next day. I also wanted to let you guys know that the Lucky Leaf Made with Love Recipe Contest is underway. The grand prize of the contest wins $4,000. More information on the contest, as well as rules and regulations, can be found here:http://www.luckyleaf.com/Promotions/MadeWithLove/. 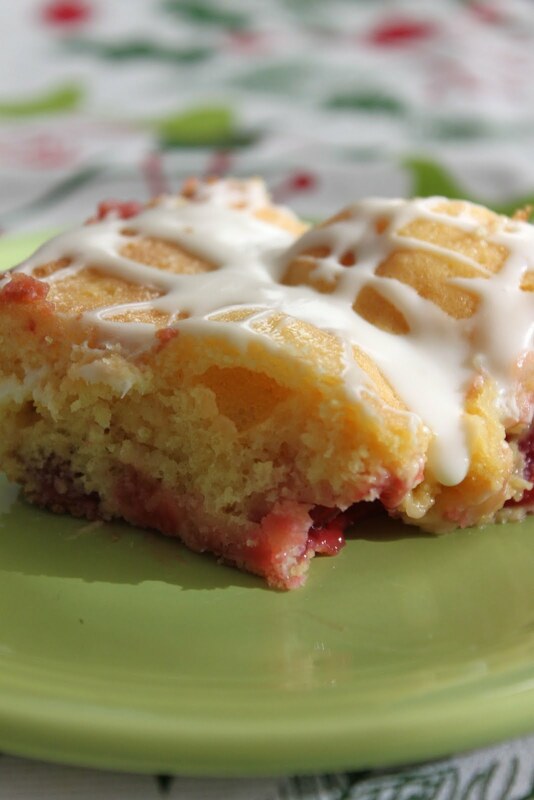 Stir together 1 1/2 cups cake mix, 2/3 cup milk, eggs, vanilla and almond extracts. Pour into a greased 13x9 baking pan. Top with pie filling. 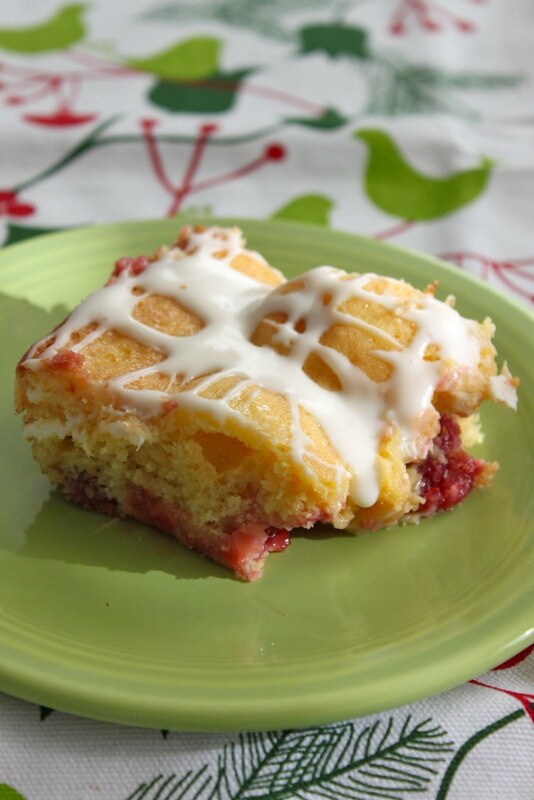 Cut butter into remaining cake mix. Mix until crumbly. Sprinkle over pie filling. Bake for 25-30 minutes. Cool in pan on wire rack. Drizzle glaze over cake when it is mostly cooled. Beat cream cheese with powdered sugar until smooth and light. Add milk, vanilla, and almond extract. You want the mixture to me the consistency of corn syrup, pourable, but not too thick. Add milk/sugar until you reach desired consistency.